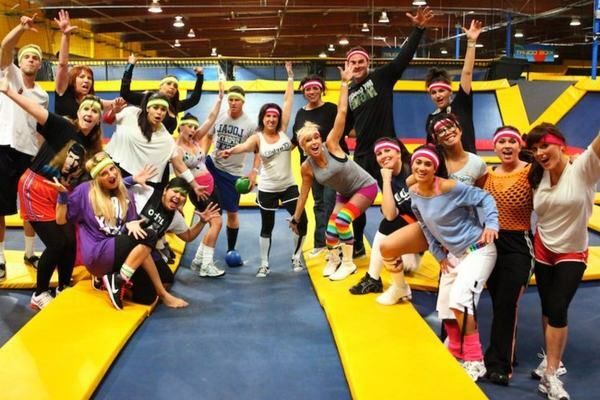 What to wear to a trampoline park? Use shorts with an elastic waistband. (Athletic shorts are great) A comfortable t-shirt, not too tight and not too loose. Always use comfortable fabrics. Believe it or not, choosing the right clothing to wear on a trampoline can go a long way toward maximizing your safety and your fun. Here are a few tips to consider when you're getting ready for some time on the trampoline. So, what do you wear for trampolining? Shorts with an elastic waistband. Athletic shorts are a good choice. A comfortable t-shirt. Not too tight and not too loose. ​Tuck the shirt into the shorts to avoid having it flap around while jumping. ​Comfortable fabrics that have a bit of stretch to them. Bare feet, unless otherwise noted by the manufacturer OR gymnastic style beam shoes. Denim, khaki, or twill shorts. Definitely nothing like cargo shorts. A shirt that might get in your face while upside down. Shoes, sneaker, or socks, unless otherwise noted by the manufacturer. Bike shorts or athletic shorts, similar to what a boy might wear. ​A comfortable t-shirt. Not too tight and not too lose. ​Tuck the t-shirt into shorts or pants to avoid having it flap around while jumping. If you have long hair, avoid jumping with it down. Long hair should be pulled up into a bun, braids, or similar fashion to keep it from bouncing around and getting into your face while jumping. ​Denim, khaki, or twill shorts. ​A shift that might get in your face while upside down. Shoes, sneakers, or socks, unless otherwise noted by the manufacturer. 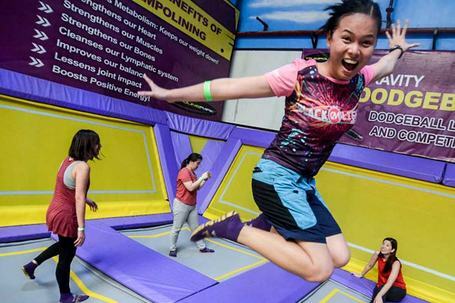 Is It Ok To Wear Shoes on a Trampoline? Well, the short answer is depend. Shoes with leather soles can make it harder to bounce and to do tricks. They could also put more wear in the trampoline mat. Shoes with flexible rubber soles are comfortable to bounce with. The type of shoes we recommend is gymnastics slippers. They are very light, flexible, and give you more control. We also recommend using trampoline socks. If you are jumping with shoes, always remember to check the soles for small stones that could damage the mat. 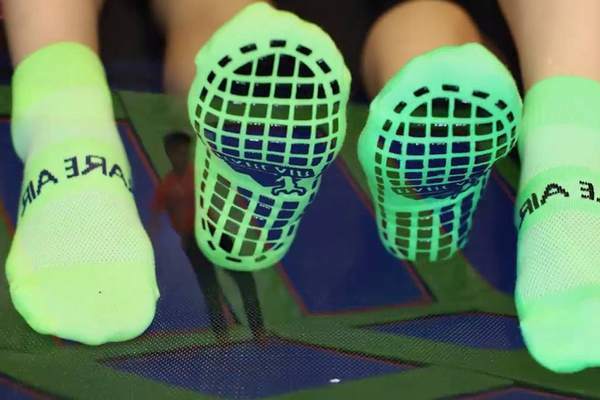 I really hope you enjoyed our trampolining clothing wear article and now know exactly what to wear for trampolining next time you go. If you have any tips or comments, please feel free to use the form below.